Situated at the top left of Preston Street as you walk down to the sea, Megawatz was another shop that sold soul imports for a while. Yes, that’s the one I was thinking of. I used to buy all my gig tickets from Megawatz. 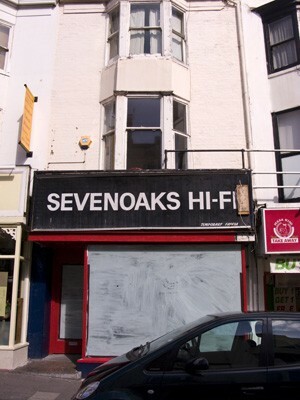 We took these sort of redord shops for granted in the 1970s / 80s, especially in Brighton. Wish we could have them all back now!